Young people aren’t talking about money as much as we’d like, and despite becoming compulsory in secondary schools since 2014 it is estimated only 40% of schools are actually delivering financial education as part of their curriculum. Many teachers are just not confident in teaching financial education as well as the challenges of embedding a consistent provision within school. At Young Money we want all schools to be able to talk with confidence and consistency to their students about money, and that’s why, during Financial Capability Week, we’re delighted to announce a new financial education textbook. The textbook, funded by a £200,000 pledge from Martin Lewis OBE, founder of MoneySavingExpert.com, will mean half a million curriculum mapped textbooks will be sent to all state English secondary schools in 2018 – 2019. The student facing textbook will include information, activities and case studies relating to issues such as saving and spending, borrowing, risk and reward, future planning and protection from fraud and identity theft. Recent debt statistics have highlighted the ticking time bomb of generation debt. The Financial Conduct Authority recently warned that young people are borrowing to cover basic living costs and unsecured household debt in Britain, comprising credit card debt and car loans, recently topped £200bn for the first time since the 2008 financial crisis. Young people are particularly financially vulnerable, with MAS estimating one in four, or 2.1 million, young UK adults aged 25-34 live with a debt problem. Talking about money in schools can help prevent this crisis. The textbook is a major step forward in achieving a degree of consistency to the financial education young people receive within secondary schools. Used in conjunction with other important tools, such as the Financial Education Planning Frameworks and teacher training, the textbook can really help secondary schools embed a planned and coherent programme of financial education for all. To provide additional support to teachers in their use of the textbook we are also developing a teacher guide which will highlight areas of good practice, provide examples of curriculum integration and showcase additional external support which schools could use to enrich their financial education provision. 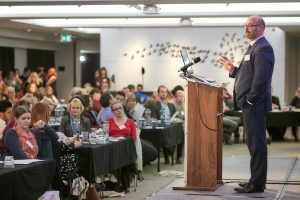 This is a truly exciting opportunity to enable more secondary schools to embed financial education to young people using real and relevant contexts, delivered by confident teachers, and done so in a way which ensures financial education is delivered to every cohort of young people which go through the school. Keep an eye on the Young Money website for further information as we progress through next year.